While the increasing popularity for hair transplants suggests that more and more people are successfully regaining their hairline and curing baldness, the reality is that in order to be a good candidate for the procedure there are more prerequisites than just being bald. Of course, this is a major factor, but there are plenty more considerations that surgeons and patients need to bear in mind to ensure it is the right procedure and will deliver the desired results. To give you a better indication on what makes a good candidate or not, here are some key elements that may affect your candidacy. While there isn’t an age limit on who can undergo a hair transplant procedure, it still plays a role and ideally the best candidates are over 30 years old. Some candidates can begin losing their hair at a very young age, and wish to seek out treatments as soon as possible. However, younger patients in their late teens, early twenties are still experiencing immature hair loss and there is no idea how this will progress with age. If they undergo treatment at a young age, they may well need additional treatments later in life to counteract further baldness. The best candidates for hair transplants are those who suffer from male or female pattern baldness. This is a genetic condition that typically affects parts of the scalp not all of it, which leaves patients with a good level of donor hair follicles. In contrast, unpatterned alopecia sufferers would not be recommended hair transplants as they have poor hair donors, which most likely wouldn’t lead to successful transplants – wasting your time and money. Similarly, the severity of hair loss in patients will play a crucial role in whether they will make a good candidate, as well as the amount of healthy hair available for transplantation. 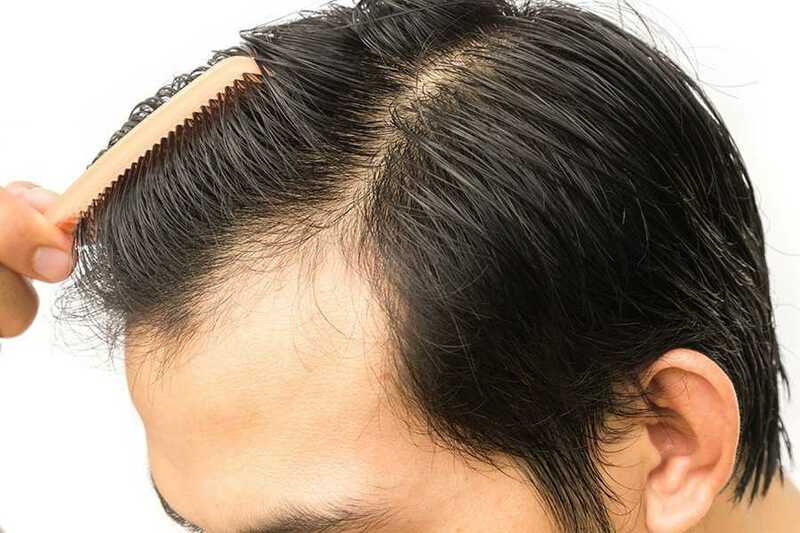 Inevitably, in order to be able to transfer hair from one area of the scalp to the affected areas, there must be a good supply of healthy hair follicles available. Assessing the level of hair loss and quality and quantity of donor hair is an essential part of deciphering if you’re a good candidate or not. As hair transplants are a surgical procedure, in order to be a good candidate you must be in good general health. Taking regular exercise, eating a healthy diet, looking after yourself and making good lifestyle choices will all work to boosting your immune system. This will help to improve recovery time from a hair transplant as your body will be better equipped to heal more quickly. Also if you suffer from any long-term health conditions you should make sure your surgeon is fully aware of them. Interestingly enough, also the type of hair you have can make a difference. Although it’s possible to do hair transplants on all types of hair, the thicker your hair is the more coverage it will give in bald spots and similarly hair that’s curly or wavy will also give better coverage in affected areas. Of course, every case is different, so if you want to find out if you would be a good candidate for successful hair transplants the best thing to do is seek professional advice at the Wimpole Clinic.